The Fujikura Speeder 757 – possibly the most iconic shaft in the history of the PGA Tour. It has never left the Tour since its debut in 1998. 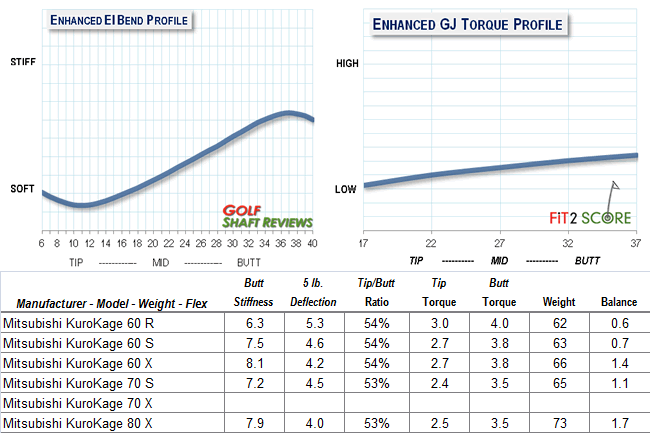 The new Speeder shaft line, including the 757, 661, 569 and 474 models, have been brought back by Fujikura for 2014. These shafts have been designed using Fujikura’s Triax Core Technology, a three-directional woven graphite material on the inside layer of the shaft that contributes to increased speed and stability. Ultra high modulus materials provide excellent feel and stability. The weights – ranging from 48 grams in the 474 R2 to 79 grams in the 757 X, fit a wide range of players and swing types. 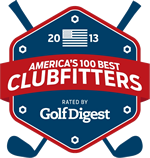 This entry was posted in Authors, Fujikura, Kirk James - MK Golf Technologies, Mark Vallier - MK Golf Technologies, Russ Ryden - Fit2Score on March 27, 2014 by Kirk James. In 2014 Mitsubishi reintroduced the Bassara V shaft as the dealer only KuroKage. It is a great looking shaft, Blue ion finished. It has a great history, this was Lorena Ochoa’s shaft. Many years ago I fit a great many of these. It is a Diamana Blue with about a half degree more torque. The radial consistency of all the samples measured was 99.6% with a 0.3% standard deviation. Translation, excellent. Install this shaft in any orientation, use it in a rotating hosel. Shaft to shaft consistency; as good as it gets, the fitter and the shaft your club gets built with will be indistinguishable from each other. Some of the shafts I measured for this review came from the fitters that were still in my shop. I was impressed that many years ago when this shaft was first available that the radial quality was exceptional. This entry was posted in 2014 Models, Driver Shafts, Mitsubishi Chemical, Russ Ryden - Fit2Score on March 24, 2014 by Russ.